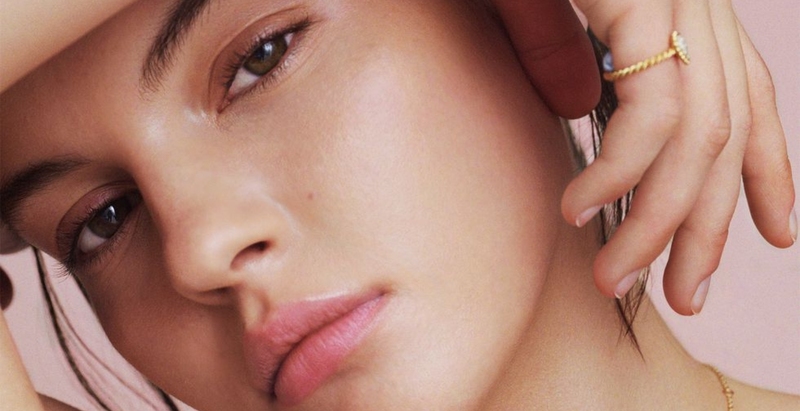 The beauty corners of the internet may have been overrun by matte lipsticks for the past few years, but matte skin is an enduring trend that started long before the cosmetics industry was in any way regulated. Indeed, some believe that Queen Elizabeth I, known for her powdered, pale complexion, eventually died of blood poisoning caused by her love of a lead-based make-up, known as Venetian ceruse. Common make-up wisdom states that the older one gets, the less a matte make-up look is likely to suit a person. Powders can settle in lines and wrinkles and, in any case, what’s more youth-enhancing than a natural glow to the skin? Perhaps it’s something to do with the fact that I’m approaching 30, and that my days of inadvertent oil-slick face are, for the most part, behind me, but recently I’ve noticed a change in the way I apply my make-up. Instead of packing a face powder in my bag everywhere I go, I’ve started to leave my skin with barely a hint of foundation and no powder (barring days when I know I have a lot of dashing around to do), embracing the shine I used to loathe. Dewy, glossy, glowy, juicy… the undisputed queen of all of these terms in the beauty industry is the New York-based British make-up artist Katie Jane Hughes, whose Instagram tutorials would be enough to give my sister nightmares but, every time, result in a five-minute masterclasses in perfecting her now trademark fresh, glossy skin. Hughes often uses Weleda Skin Food, approx. RM68.21, in her tutorials. Bazaar also recommends the Charlotte Tilbury Wonder Glow Instant Soft-Focus Beauty Flash applied around the nose and chin, as it helps to lift any areas of redness, giving a more even complexion. Bazaar‘s favourites are by Nars and Bobbi Brown. Take it to the next level with a spritz of Iconic London Prep-Set-Glow, which will help your make-up to stay put, while adding a subtle but not scary radiance to the skin. These are the only products you need to create a flawless base. Fatima Siad: Why Don’t You…? In the back seat of a Rolls-Royce Cullinan, no less. Ready or not, festival season is upon us.